Blekko: The New Way To Search? Blekko is an interesting new search engine currently in Beta. As there will be plenty of people doing general reviews, I thought I would concentrate on looking at what Blekko can offer in terms of links. As you can see, you have the option to narrow the search down on each individual result. These options are known as “tags”, the number of choices will increase over time and there is also the opportunity to create your own custom tag. As you select a tag the search query is rewritten with the new data included. 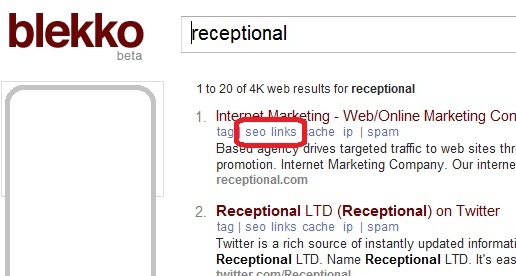 One might assume the “links” button is the most significant for link building, but that only reveals the sites linking to the particular search result. While this feature can be useful, Yahoo were doing this for many years before their recent plight and you can currently get far superior results from MajesticSEO or SEOMoz. So for this reason, I will take a closer look at the SEO button instead. This feature is rather unique and I must say it has a great visual impact. Blekko will have to overcome a scaling issue though, as they are currently returning only 341 inbound links compared to the 400,000 (from 4,000 domains) reported by MajesticSEO and a tenth of the numbers returned by OSE. But that issue aside, the simple pie charts are pleasing to the eye and a highly effective way to display the data. If we now take a look at the anchor text reports, again the data is very well presented. 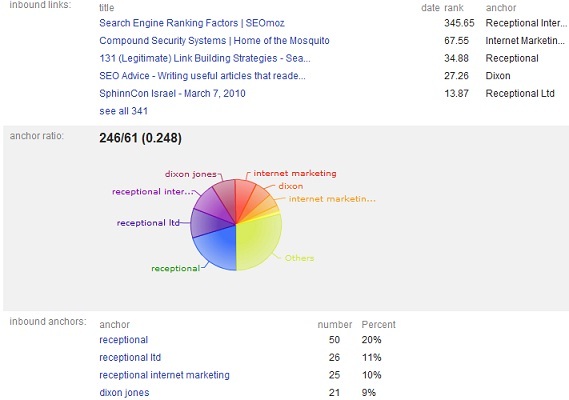 However, the pie charts may look pretty but they aren’t suitable for displaying large numbers of keywords, which is why the actual anchor text data is listed underneath the graphics. To sum up, Blekko is an extremely innovative and transparent new search engine that is currently only available in private Beta but will have to overcome scaling and crawling issues if it is to seriously challenge the already established search engines. Their predecessors have already had to overcome these obstacles but with the financial backing Blekko have received, they have every chance of succeeding where others have failed. Will Mobile Prove To Be Baidu’s Big International Break? One Response to Blekko: The New Way To Search? 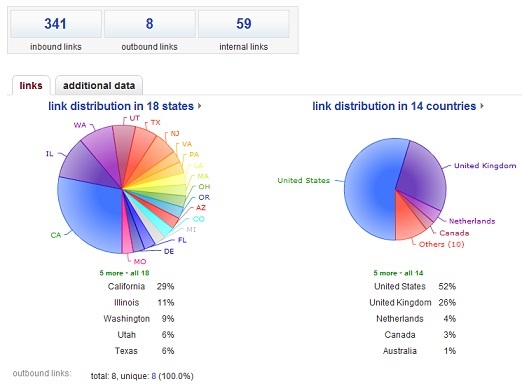 International Search – What's The Big Deal?